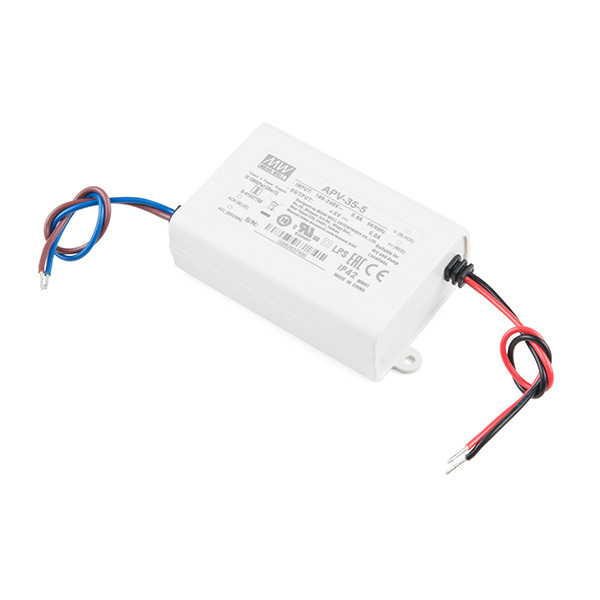 This is a 25W single output switching power supply from Mean Well that has been specifically designed to work with LED applications. 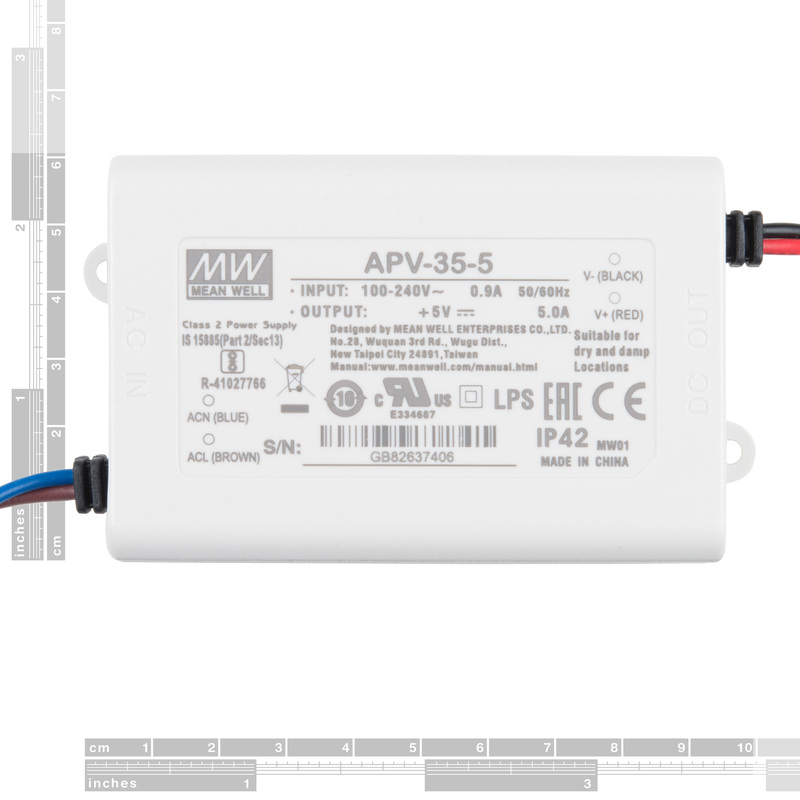 This power supply is extremely reliable and able to output 5VDC at up to 5A. We’ve been testing this power supply for quite some time and can definitely attest to its durability with its IP42, fully isolated plastic casing, short circuit, overload, and over voltage protections. The power supply includes wire pairs for the input (brown and blue) and output (red and black). Keep in mind that the input voltage does require an AC power cable to be connected that is not included with the power supply. This specific model is compact for projects where you don’t have a lot of space and is cooled by free air convection and operates at a temperature of -30°C to +70°C. Mean Well has really outdone themselves with their power supplies, which are high quality and should last for quite some time without issue!